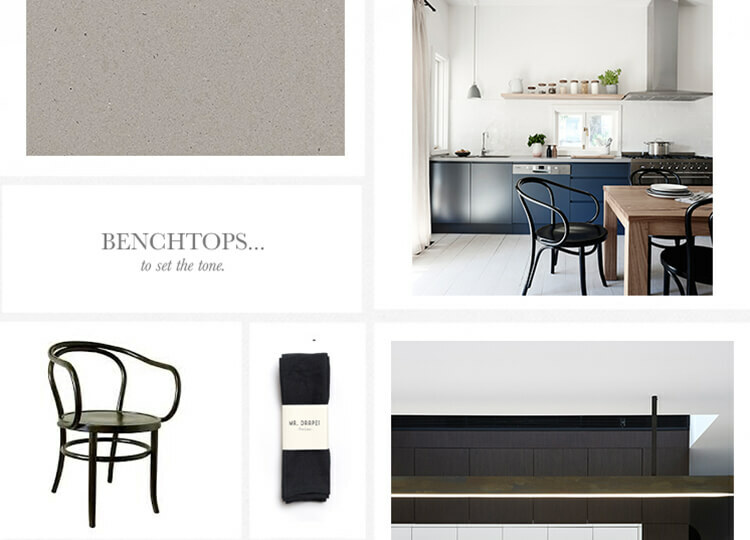 Our Get The Look features will inspire and guide you through the home design process, from styles to reference through to the actual furniture, accessories and design objects seen in our interior profiles. Simply jump to ‘Get the Look’ in the below home features to source products for your own home, or be inspired to recreate some our favourite design aesthetics with our Get The Look guides. 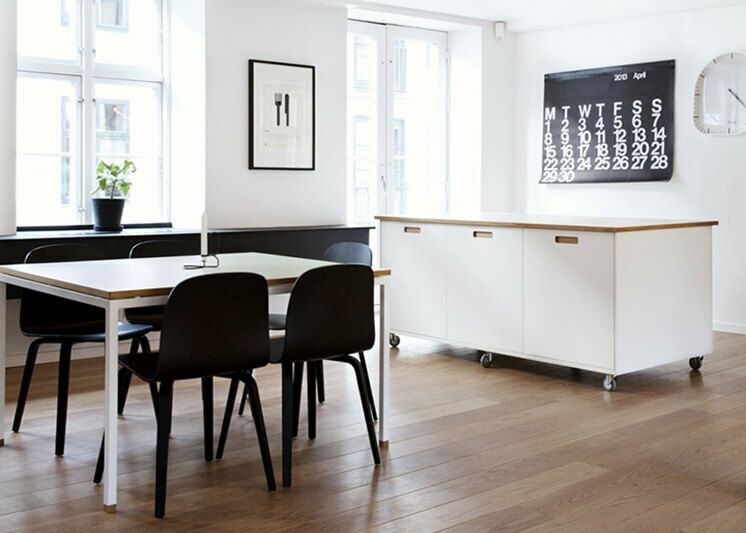 For more home interior inspiration, head to our Design Directory to explore our entire product and supplier library. 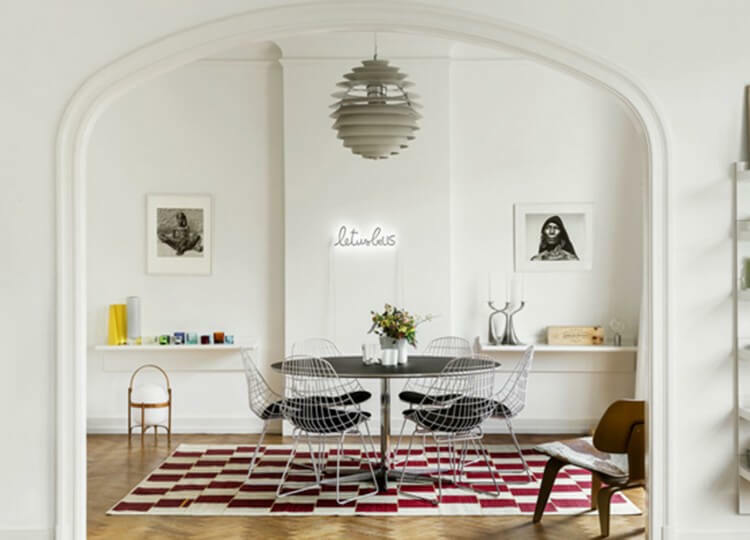 Set in an 1930’s building in Brussels, this apartment is the home of interior designer Michael Penneman and his family. 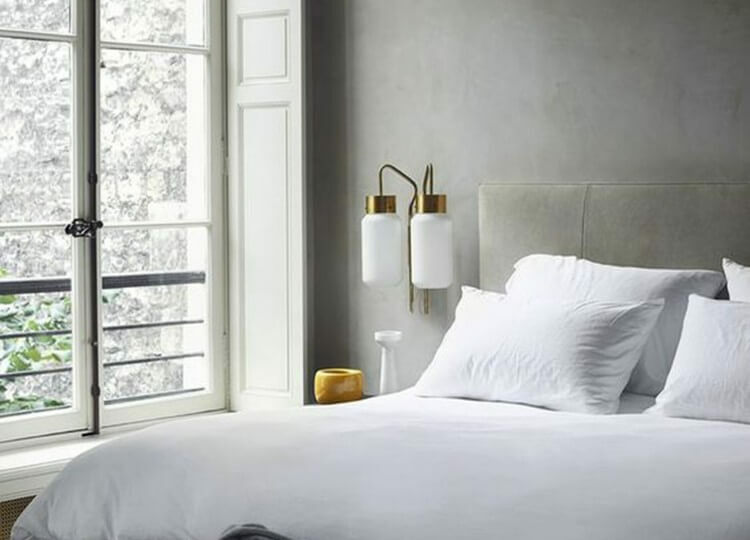 The humble wall sconce has come a long way and this week, we are loving these modern choices to be used in place of a traditional bedside table lamp. Alicia McKimm and Kylie Dorotic are the creative minds behind design studio, We Are Huntly. 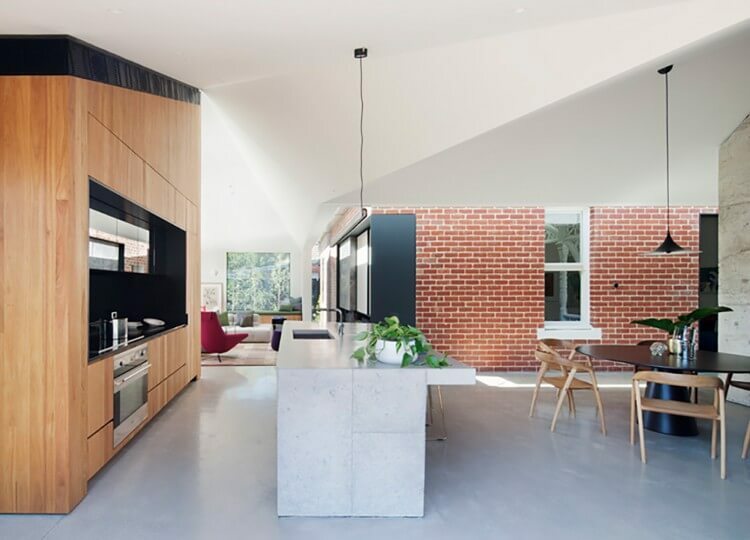 Elsternwick House, an exemplar of an enduring statement of individuality and affability conveyed in the highest form of built expression. 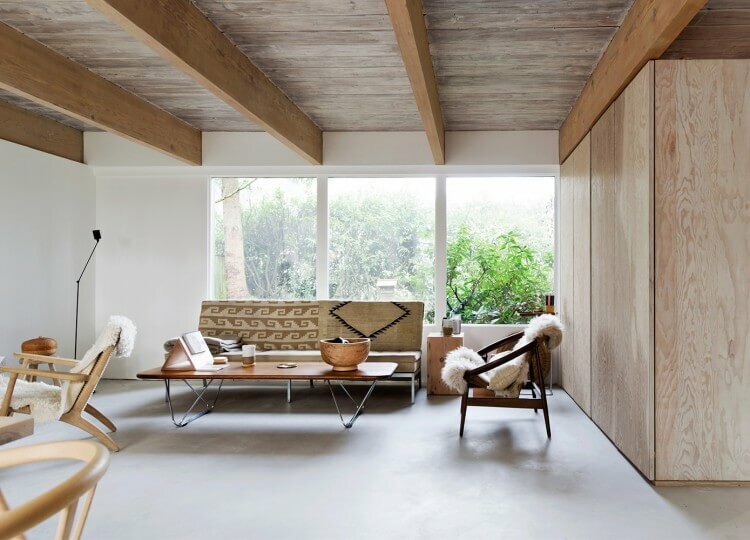 Scott & Scott Architects share with their clients a keen passion for the use of traditional materials and the preservation of this North Vancouver house. 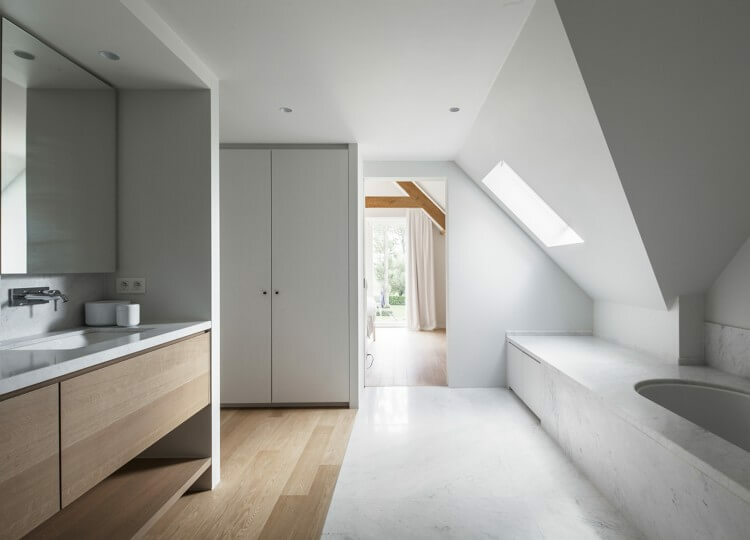 A 1960’s villa in Belgium is transformed into a contemporary home thanks to three essential materials. 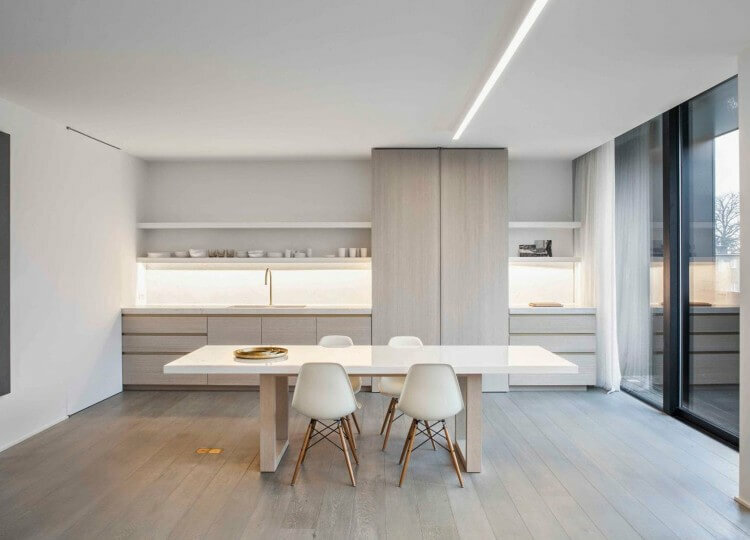 This Bruges based apartment in Belgium designed by Obumex is the epitome of a minimalistic, timeless style. 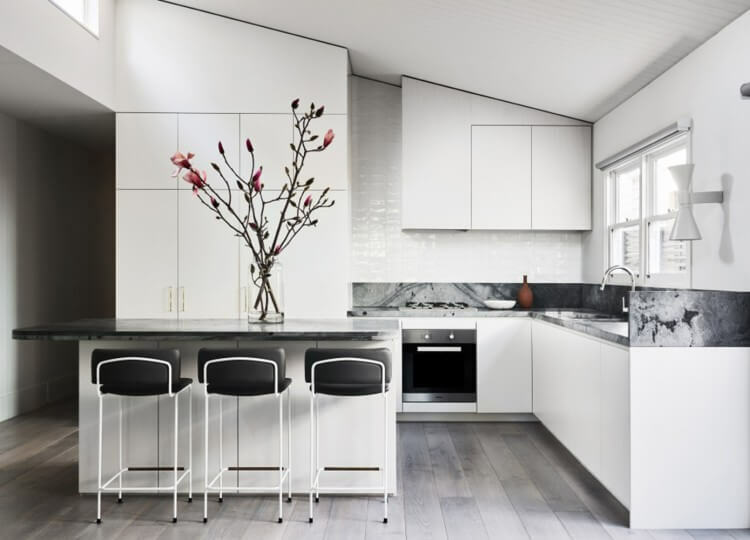 Bench top basics: Three quartz stone bench tops from Caesarstone in colours Sleek Concrete, Raven and Statuario Maximus. 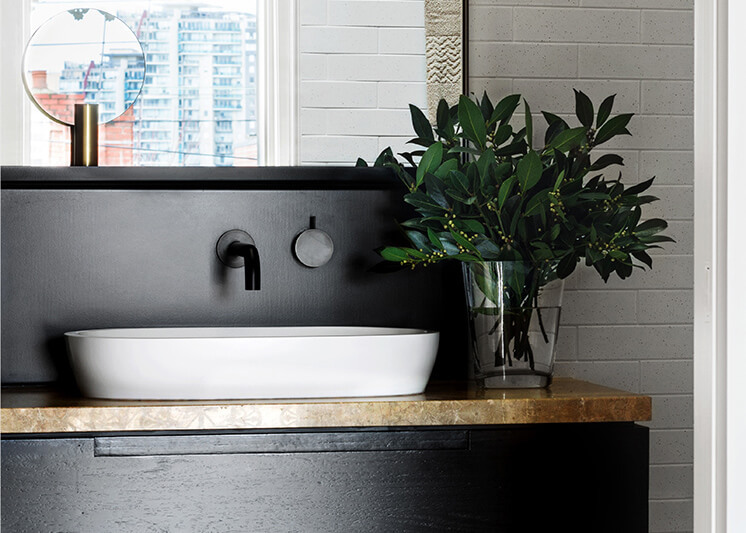 Bathroom Covet: Pluck a leaf of inspiration from this styled bathroom vignette by Marsha Golemac for the Raw Materials Issue… continue reading. 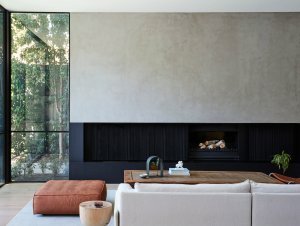 Raw Materials: Charmingly eclectic, this park side, inner city home in Melbourne has been redesigned by Fiona Lynch to suit… continue reading. 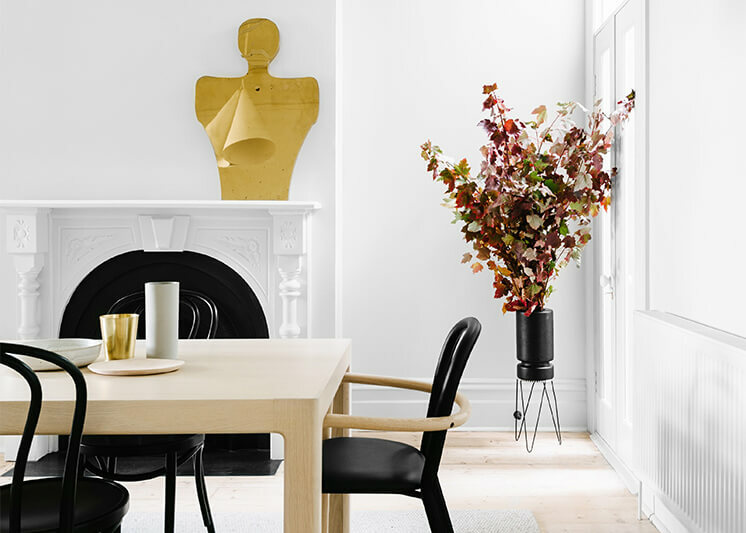 If you’re looking to do up the kitchen on a budget, whether it be your beach house or your home, then Copenhagen… continue reading. 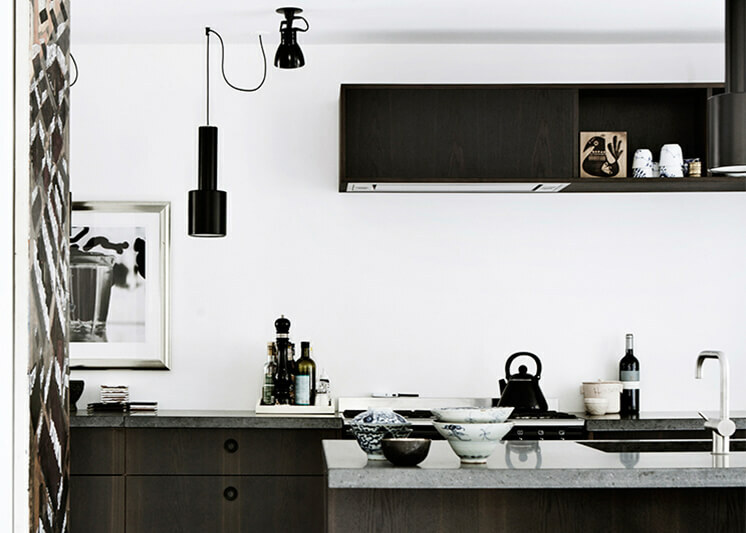 Dark timber kitchens have always held a place in our hearts and this particular kitchen style featured in the latest… continue reading. 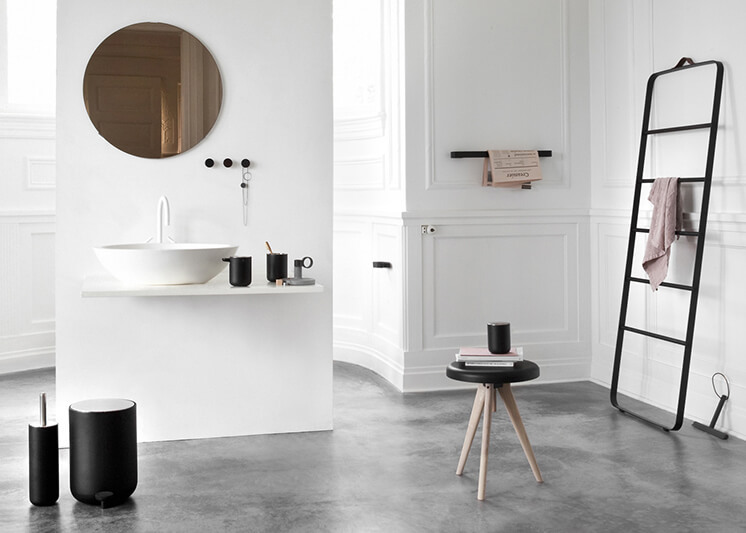 This bathroom styled for Copenhagen-based Norm Architects new design ‘The Flip Around Stool’ has inspired us with its panelled, white… continue reading. The bathroom is as crucial as any other room in the home, for me its my sanctuary. Whether it’s moody… continue reading.